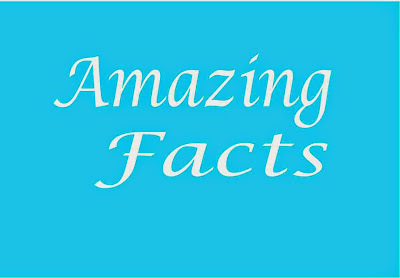 Some Amazing Fact Which May be Surprise You.- Part - II | Study Valley - A Complete Education Blog. Fact: You'd have to play ping-pong for about 12 hours to lose one pound. Fact: Lizards communicate by doing push-ups. Fact: Before mercury, brandy was used to fill thermometers. 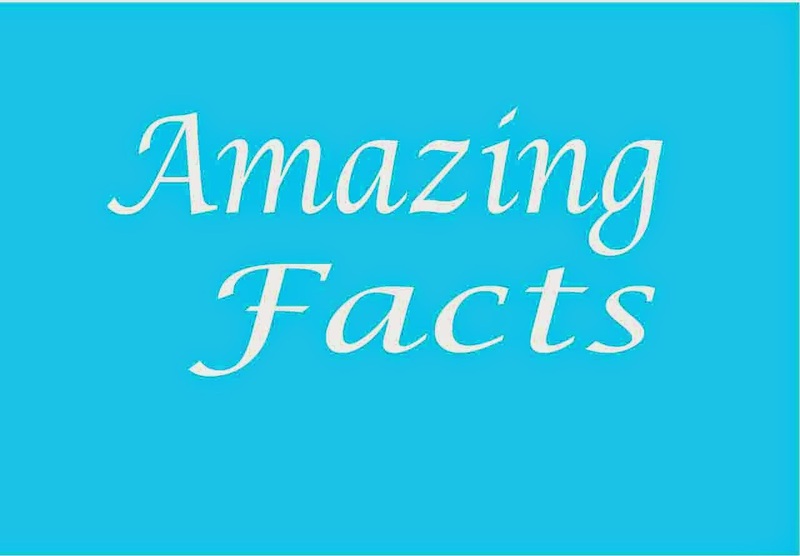 Fact: On average a human will spend up to 2 weeks kissing in his/her lifetime. Fact: Australia is the only team which has won 4 Cricket World Cups in which three wins came is a row - 1997, 2003 and 2007. Fact: : The 1987 Cricket World Cup was the first ever World Cup that was held outside England. Fact: : The 1992 Cricket World Cup was the first ever World Cup, where white balls were used and Day-Night games were played with colour clothings. Fact: : Due to racial policy in South Africa, they could participate in the Cricket World Cup only in its 5th edition in 1992. Fact: : Shahid Afridi of Pakistan has a unique record of taking four wickets or more in a match in four World Cups. Fact: : Sri Lanka became the first host nation to win a Cricket World Cup in 1996. The 1996 Cricket World Cup was co-hosted by Sri Lanka, India and Pakistan. Fact: : ICC Cricket World Cup 2015 is one of the world's largest international sports tournaments with 14 competing teams and more than 400 accredited players and officials. Fact: : Kumar Sangakkara holds the record of maximum stumpings in cricket world cup, i.e., 10 dismissals in 30 matches. Fact: : This is the second time Australia and New Zealand have come together to co-host ICC cricket world cup; the first was in 1992. Fact: : Despite hosting the cricket world cup four times and reaching the finals thrice, Englad has never won the title till date. Fact: : DRS (Decision Review System) will be used during all the 49 mathes in ICC cricket world cup 2015. Fact: : Shahid Afridi used Sachin Tendulkar's bat to hit the fastest ever ODI century. Fact: : Chris Gayle is the only batsman to hit a six off the first ball of a Test match. Fact: : Abbas Ali Baig was the first Indian cricketer to be kissed during a Test match. Fact: : Vinod Kambli's Test match average is better than that of his childhood friend Sachin Tendulkar. Fact: : ML Jaisimha and Ravi Shastri are the only Indians to bat on all five days of a Test match. Fact: : India is the only country to win the 60-Over, 50-Over and 20-Over World Cup. Fact: : Alec Stewart was born on 8-4-63 and he scored 8463 Test runs. Fact: : On the morning of 11/11/11 South Africa needed 111 runs to win at 11:11. Fact: : Dhaka's Sher-e-Bangla stadium and Bangabandhu stadium have hosted more ODIs than Lord’s. Fact: : In a World Cup Match, chasing 335, Sunil Gavaskar scored an unbeaten 36 off 174 balls. Fact: : Saurav Ganguly is the only player to win four consecutive Man of the Match awards in ODIs. Fact: : Sir Don Bradman has just hit 6 sixes in his entire career. Fact: : Virender Sehwag's highest scores in T20, ODI and Tests are 119, 219 and 319 respectively. Fact: : Graeme Smith is the only player in the history of cricket to have captained a team for more than 100 Test matches. Fact: : Saeed Ajmal has never won a Man of the Match award in One Day International Cricket. Fact: : There was an Australian cricketer in 1870's named George Bailey, who is great-great-grandfather of the present Australian cricketer George Bailey. Fact: : Geoffrey Boycott was the first cricketer to face the first ball in One Day Cricket; Graham Mc-Kenzie was the bowler. Fact: : Wilfred Rhodes had the longest ever Test career: 30 years 315 days from 1899 to 1930. Fact: : In the first ever Test in 1877, Australia beat England by 45 runs. 100 years later in the Centenary Test, the result was exactly the same. Fact: : In a match between Pakistan Railways and Dera Ismail Khan in Ayub Trophy, Pakistan Railways scored 910-6. With a total run of only 32 in 1st innings and 27 in 2nd innings by Dera Ismail, Pakistan Railways won the match with a margin of an innings and 851 runs. This is the greatest margin ever in First Class cricket. Fact: : The English right-hand batsman and left-arm spinner, Wilfred Rhodes holds the record for maximum wickets in First Class cricket with 4204 wickets in total. Fact: : The average person spends about 2 years on the phone in a lifetime. Fact: : The year that read the same upside down was 1961. That won't happen again until 6009. Fact: : The most sensitive parts of the body are mouth and fingertips. Fact: : A ball of glass will bounce higher than a ball of rubber. Fact: : Licking a stamp burns 10 calories. Fact: : Tongue is the fastest healing part of the body. Fact: : You blink over 10,000,000 times a year. Fact: : No piece of paper can be folded more than seven times. Fact: : Popcorn was invented by the American Indians. Fact: : An ant's sense of smell is stronger than a dog's. Fact: : On average, a woman consumes six pounds of lipstick in her lifetime. Fact: : Brain waves can be used to power an electric train. Fact: : Dragonflies have six legs but can't walk. Fact: : When the moon is directly overhead, you weigh slightly less. Fact: : Children tend to grow faster in the spring season. Fact: : About 18 percent of animal owners share their bed with their pet. Fact: : Animals that lay eggs don't have belly buttons. Fact: : An ant can lift 50 times its own weight. Fact: : The only bird that can swim and not fly is a penguin. Fact: : Your eyes expand up to 45% when looking at something pleasing. Fact: : The lifespan of a taste bud is about ten days. Fact: : No word in the English language rhymes with month. Fact: : A one-minute kiss burns about 26 calories.